Chris Martin’s Top Three Tracks – Sonic Youth, Pixies And Who? Hi, it’s Chris from the Evening Show at NME Radio. I’ve decided in a fit of generosity to open up the airwaves to you and your Top Three Tracks of all time. You submit them and we’ll pick our favourites to go out on the show every Thursday night from 7pm. It’s possibly the hardest question to answer ever. Harder even than deciding, hypothetically of course, which of your toes you could live without. Not that we’re going to torture you to get your Top Three Tracks out of you, you can just leave a comment below. First track into my Top Three was Sonic Youth – ‘Teenage Riot’. Now this, in my mind, is the greatest song ever made. It’s got a good couple of minutes of intro that teases you as it builds and finally releases an irresistible driving rhythm. It’s the type of tune I’ve whirled around to, slightly worse for wear, in numerous indie clubs. Better than that it’s full of squall and de-tuned guitars and lyrics referencing anger, rock and mass public rebellion. Second place in my Top Three Tracks belongs to Pixies, a band who when I got into them aged 17 (courtesy of my history teacher, now that’s education). They’d been split for more than a decade when it was announced that not only had they got back together but were going to be playing practically in my back yard at Leeds Festival. Thankfully we got tickets and seeing them is definitely among my favourite gigs ever. The crowd went mad for every song, but there was a haunting euphoria and every hair on my body standing on end when they played ‘Where Is My Mind?’. The final track in my Top Three Tracks was the hardest to decide, and I’ll probably change my mind several times over the next few weeks. Florence and The Machine‘s ‘The Dog Days Are Over’ came close as did The Rolling Stones with ‘Gimme Shelter’ and Postal Service’s ‘Such Great Heights’. In the end though Modest Mouse have taken the last spot, for now, with ‘Float On’. It is possibly the happiest song ever, a mantra of positivity, and a tune meant for bouncing around to with your mates. So now it’s your turn. Every week on the show we’ll pick someone’s all time favourite tracks to play on Thursday night’s show. Leave your Top Three Tracks in the comments below and it could be you. 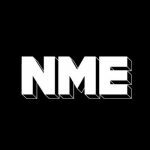 You can listen to NME Radio online, on DAB in London and through your telly on Sky 0184, Virigin Media 975 and Freesat 727. Join me weekday nights 7-11pm and on Sunday afternoons from midday.